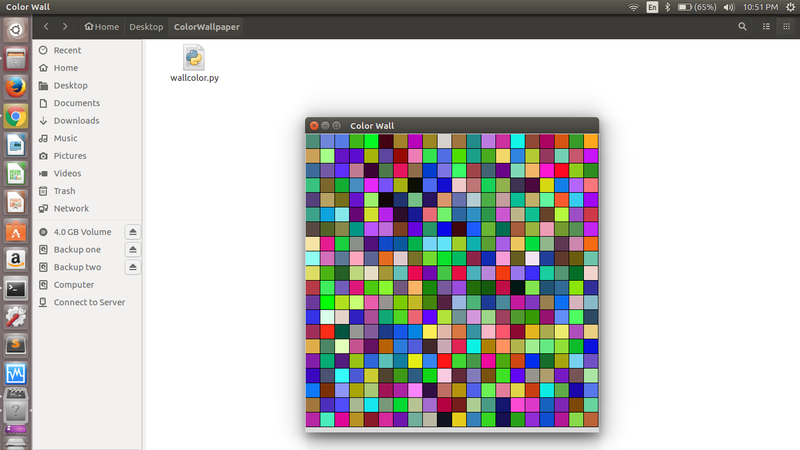 Friends, In This App We Will Use Python Tkinter Canvas Widget As A Colour Wall To Make This App More Easy And Fast And Tkinter Binding Functions For Binding Our Colour Changing Function With Mouse Motion. Now, Let see Our Codes. As You Can See In Above Codes. In First Part, I Am Importing Module And In Second And Third Part I Am Create Simple Functions For Choosing Random Colours For Our Colour Wall. After That Class Wall Is For Handling All Canvas Related Functions and main function is for creating root window. Done! In Simple Words, First We Will Create Grid Of Squares In Plain Canvas Text And Then We Will Bind Our Mouse Motion Triggers with Random Colour Choosing Function Located In Line No. 46 After Running This App, Whenever We will Move Our Mouse In Canvas All Colour Of Grid Will Randomly Change.